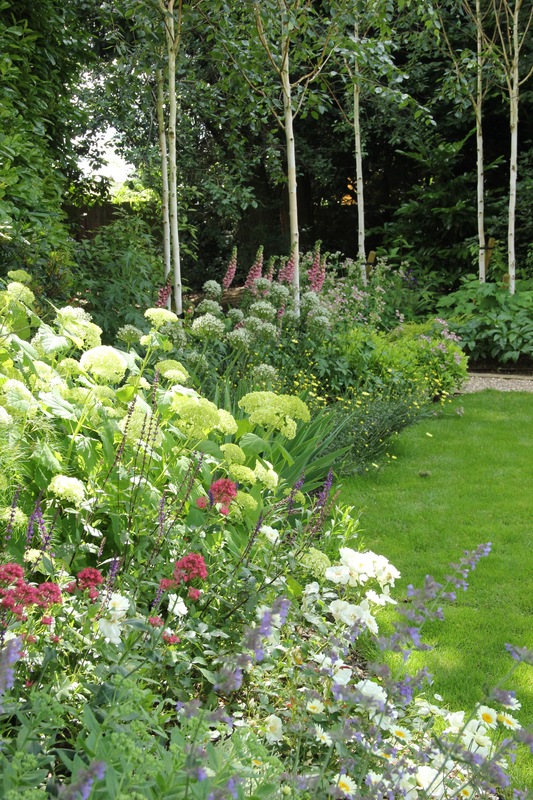 The brief for this project came from the Client’s desire for a traditional country garden style that would add interest and colour to the existing mature garden. The materials were to be natural and also compliment the architecture of the house. 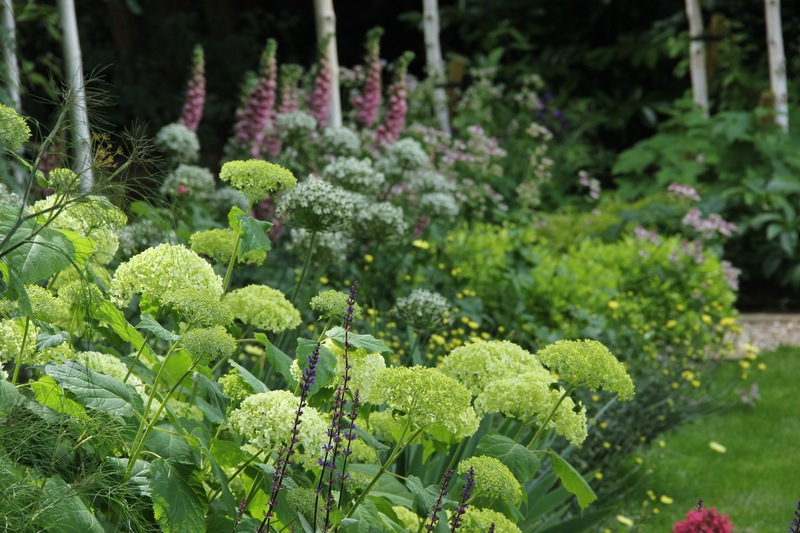 We created curvaceous, generous borders, with a mix of shrubs, perennials and bulbs. 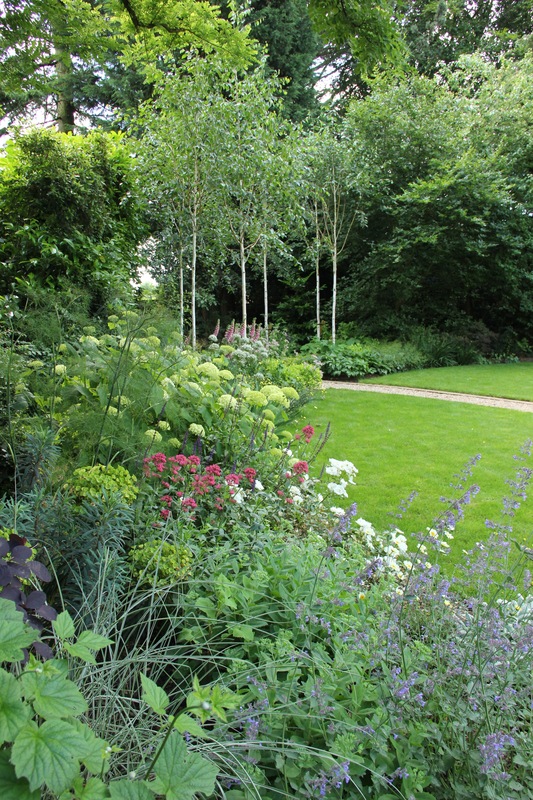 The new planting is framed by existing hedges and the intimacy of the original garden is maintained by keeping the mature plants, which also helped the garden feel established more quickly and create the traditional country garden effect. 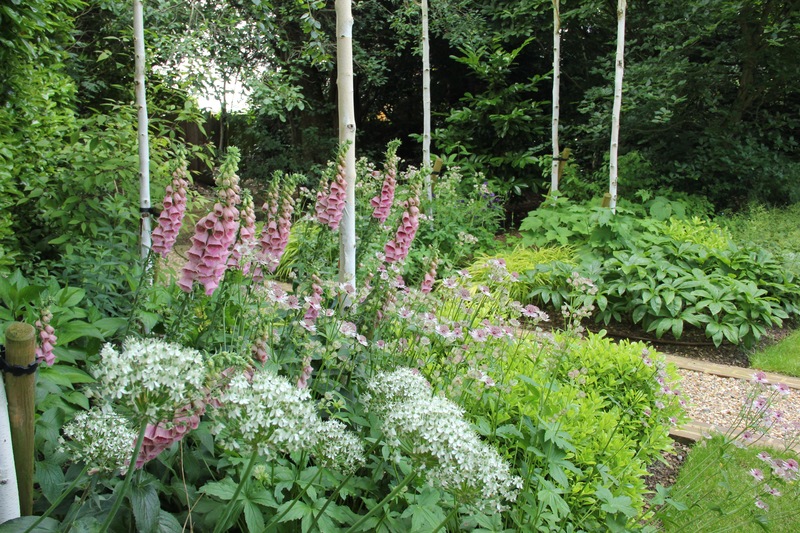 A curved brick edged gravel path leads across the lawn, before winding its way through a group of striking white stemmed Himalayan Birch trees, which are under-planted with shade loving woodland planting. The planting design was key for this project to achieve the ‘traditional country garden’ look our clients requested. 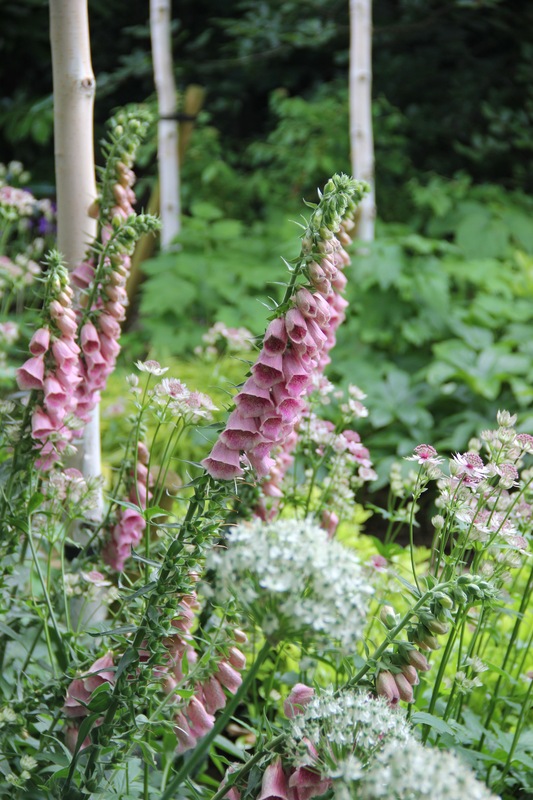 The new scheme included Roses, Cat Mint, Foxgloves, Lavender, Astrantia, Irises, Salvia and white Hydrangeas. Using a good mix of shrubs, perennials and bulbs, we were able to ensure the planting maintenance was manageable once we handed the garden over to our clients on completion. The new planting provides something colourful and interesting to look at throughout the year!